Elaine is an actor, director, First Nations Organiser for the Media Entertainment Arts Alliance, producer, singer, songwriter, standup comedian and writer, and a staunch MEAA member who has appeared in multiple plays, TV series and films. She has appeared for Belvoir in the 2017 run of Barbara and the Camp Dogs, and in Conversations with the Dead (2003), and will reprise her role in Barbara and the Camp Dogs for its 2019 run. Other stage credits include Astroman (Melbourne Theatre Company), Blaque Showgirls (Malthouse Theatre), An Octoroon, Country Song, The Sunshine Club (Queensland Theatre), This Fella My Memory (Moogahlin Performing Arts), I am Eora (Sydney Festival), Bloodland (Sydney Theatre Company / Bangarra Dance Theatre), and Cherry Pickers and The Sunshine Club (Sydney Theatre Company). 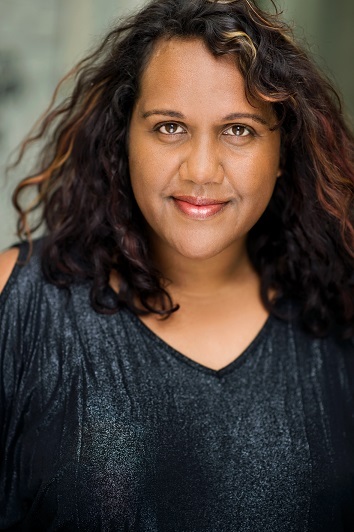 Television credits include, Top of the Lake, How to Stay Married, Rosehaven S2, Grace Beside Me, 8MMM Aboriginal Radio, Nowhere Boys S4, Get Krack!n, Black Comedy, Redfern Now, Kiki and Kitty. She has appeared in the films Jackie Jackie, Black Talk and Top End Wedding.